Could This Bit of IHL Kit Sweep Sport-mad Australia? It is a well-known fact that the best commercial ideas are simple to implement, with products that are easy to use. Whereas some companies are pursuing highly-sophisticated business plans utilising state-of-the-art technology, or digging up something shiny out of the ground — companies like Impression Healthcare (ASX:IHL) are pursuing a rather simpler commercial strategy. 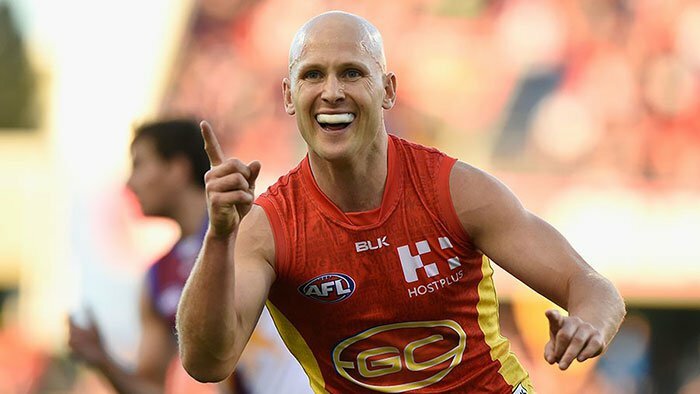 Following a recent ASX re-listing following a shell takeover, IHL has developed a means for anyone in the world to order their very own personalised mouthguard, including choices of colours and size. IHL can offer this at an affordable price, coming in at multiples lower than a traditional dentist fitted mouthguard. In other words, IHL through its Gameday brand is selling professional safety equipment for all sports and sportspeople that is confirmed to vastly reduce dental and jaw injuries. This is a vital service for grassroots sports communities that may not be able to afford custom-made mouthguards, with their safety in mind. Think about it, professional sportspeople have equipment thrown at them by sponsors, but amateur athletes and young adults have so far had to purchase inferior over the counter products that may not fit the mouth properly or make an expensive trip to see the dentist. What’s needed is for boxers, footy players, rugby, cricket and basketball players, of all ages and abilities at the grassroots level to have an ample supply of custom-made state-of-the-art mouthguards at affordable prices. This is likely to encourage greater sport participation and improve health and safety across all sporting events in Australia — whether it be at the MCG or the footy field behind your local Coles store. With an ASX relisting now complete, IHL is looking to build on its sales and revenue figures as it develops its brand awareness across grassroots sports throughout Australia. To aid in IHL’s coming marketing push, two new ambassadors from the AFL Women’s League (AFLW) Moana Hope and Kaitlyn Ashmore have been singed to represent IHL’s Gameday brand. With a growing list of influential brand ambassadors, IHL is aiming to make a name for itself in the sporting safety market by offering an affordable, high quality, custom made mouthguard. 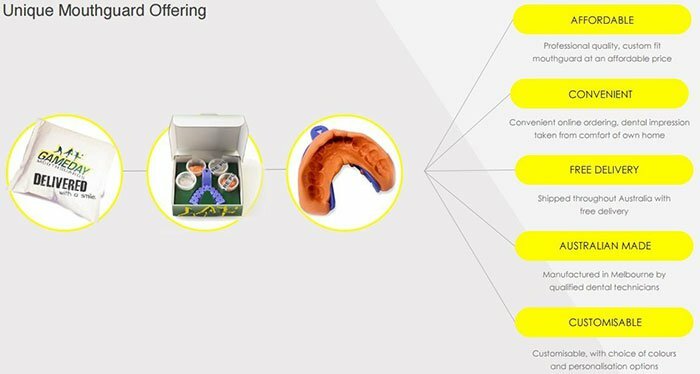 Currently, IHL has the capacity to produce 50,000 mouthguards annually and now it has listed it is aiming to capture a large market share by utilising its current production capacity and maintaining healthy profit margins. The exact size of the market share IHL can secure remains to be seen at this stage, so if considering this stock for your portfolio do your own research and seek professional financial advice. Interestingly, as it increases market share, IHL will be able to easily meet further demand as it has built a highly scalable production model, meaning it can expand its production capacity easily. This augers well for the company as it continues to increase its ambassadorship and extend its reach across the country. As IHL seeks out more high profile sports ambassadors, its growth could become a reality sooner rather than later. IHL already has rugby league star Matt Ballin on the books as well as Essendon coach John Worsfold. Its most recent AFLW signings, as well as its existing links with hockey and basketball leagues demonstrates that IHL is heading in the right direction. On November 22 nd 2016, Impression Healthcare Limited (ASX: IHL) relisted on the Australian Stock Exchange, following a name change from Mount Magnet South Limited (ASX: MUM), and the acquisition of Gameday Mouthguards Pty Ltd. The relisting comes off the back of an oversubscribed capital raising for $3M to complete the acquisition of Gameday, showing strong support in what IHL has to offer. The relisting and associated capital raise could see brand alignment become even stronger as IHL gets set to target grassroots sports organisations as they get set to launch their season’s campaigns in the New Year. As we indicated above, IHL already boasts high profile ambassadors including AFL coach John Worsfold and rugby star Matt Ballin, and now also has two high profile women joining the Gameday team as ambassadors. AFL Women’s Football League (AFLW) players Moana Hope and Kaitlyn Ashmore are IHL’s latest Gameday ambassadors. Going by television viewing numbers, this league is already set to be big. A recent exhibition held in September between the Western Bulldogs and Melbourne delivered an average of 746,000 viewers (metro and regional) tuning in nationally. The exhibition match, which was broadcast live by Channel Seven, peaked at 1.05 million viewers and won its timeslot across all key demographics in Melbourne, where it averaged 387,000 viewers. It was the largest overall average audience in Melbourne of any game during the 2016 home and away season – including AFL games. A recent pay dispute, also indicates just how big this league will be and how much pull and influence it could have on female sports participants. Hope will join the Collingwood Magpies in the 2017 season as a marquee player in the Women’s AFL competition... we guess someone had to play for them (only joking Magpies fans). Having taken out the Rohenna Young Medal as Leading Goal Kicker for three seasons in a row, Hope is making a name for herself in the sport, scoring a record 87 goals in 2014. Hope previously played with the St Kilda Sharks and Western Bulldogs. Kaitlyn Ashmore is the other rising AFLW star to join IHL’s Gameday ambassador team, who was selected by the Brisbane Lions as their number 2 pick. Ashmore has played the last two seasons at the Western Bulldogs and is also a VIC Country representative, previously playing for Melbourne University in the Victoria Women’s Football League premier division. As ambassadors for Gameday, Hope and Ashmore will use their professional profiles to promote the safety in sport message especially for children, along with Gameday’s custom-fit and low cost mouthguard offering. Under their respective agreements, the two professional sports players will appear in promotional advertising materials, use their social media platforms to promote Gameday and its message of safe play, attend Gameday ground clinics and events to promote women in sports and represent Gameday in the media. Given how large this league is expected to be, that puts Gameday in front of a very large addressable audience, helping it in its aim to not only spread the safety message, but also potentially ramp up production of its low, cost, custom made mouthguards. With women’s sport becoming increasingly more prevalent across mainstream media, and quite rightly so, the marketing opportunity for IHL will also increase as more females take up contact sports requiring safety wear. These latest ambassador signings are just one of many upcoming marketing initiatives being implemented by IHL in the lead up to the 2017 sporting season. Following on from Game Day mouthguards, IHL plans to launch a new range of quality dental at-home products in the near future in order to increase its appeal to consumers. The broadened addressable market will also include those outside the sporting community. The new products include teeth whitening solutions, oral and healthcare devices, and complementary sporting goods. Any future products may be leveraged through appropriate channels including the previously listed Gameday ambassadors. With the new sporting year and pre-seasons only weeks away, IHL is poised to start 2017 at the speed of Usain Bolt at the starter’s gun, as it looks to further its ambassadorial reach, roll-out an even bigger product range and deliver its key safety message to grassroots sporting organisations and participants. With the listing and renaming of the company complete, IHL is poised to embark on an extensive marketing campaign to assert itself in the sports safety market and disrupt the existing mouthguard sector. Brand and product awareness campaigns will be launched in the weeks and months ahead, which in turn are expected to drive sales and revenues for Q1 2017. Of course it should be remembered that IHL is still in its early stages and therefore has much to do to grow its revenues. Investors looking at this stock should seek professional financial advice before making an investment decision. Over the last four months of FY16, Gameday has successfully sold 990 mouthguards, with minimal amounts of consumer marketing spent. IHL is currently able to manufacture 50,000 mouthguards annually, but as the reach increases this amount is expected to be upgraded and scaled if and when required. With custom fitted mouthguards being recognised universally as superior to the over the counter (OTC) mouthguard products and education about the need for bespoke methods spreading, the market is likely to continue shifting towards Gameday style products. Once consumers get wind that Gameday mouthguards can be fitted at home and are relatively inexpensive, compared to dentist-fitted mouthguards which typically cost around $250, it is likely that demand could grow exponentially. 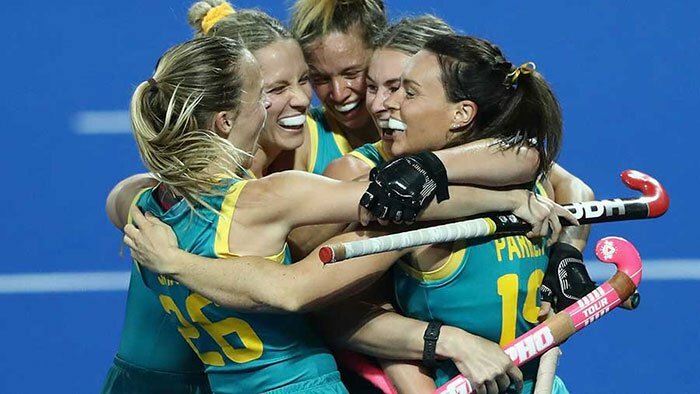 Through its established partnerships with Basketball NSW, Southern Football Netball League, Hockey NSW, Hockey Victoria, Hockey WA and Sports Pass, IHL will be able to leverage the Gameday brand through the various sporting bodies to a targeted audience of over 880,000 people. IHL is endeavouring to expand upon its already impressive partnership ties which includes both state and local sporting organisations. This is a sizeable slice of the approximately 2.1 million Australians who play contact sports and may need a mouthguard. Recently, Gameday sold over 1,200 mouthguards on a trial and out of season marketing push to one of its sporting partners. The sale of these mouthguards, indicated to Gameday and the broader market that there is huge upside in the model. Remember this occurred prior to being properly funded and listed on the ASX. The conversion in the out of season sport was around 4% from an approximate 30,000 strong database. Gameday is hoping this leads to much bigger and better results in the upcoming sports seasons as it extends its 880,000-strong (and GROWING!) partner network. At the same time, this is speculative and should not form the basis of your investment decision with regard to this stock. Take a cautious approach if considering this stock for your portfolio. Once established in Australia, IHL has the opportunity to take Gameday overseas into larger markets like the United States and Europe. With revenues expected to grow early in 2017, the market may take note of IHL’s market disruptive product offering sooner rather than later.